Efficiency is a highly regarded benefit of the digital supply chain. And why not? Efficiency offers long term cost control, productivity gains, and more. Another major advantage that businesses will get comes in the form of accuracy. Accuracy comes in a number of forms, so let’s take a look at just a couple of the benefits realized by supply chain organization from manufacturers to retailers. Inventory Management: Accuracy is at the root of all supply chain management. We all recognize carrying costs risk weighing down the bottom line. Too much inventory on the books is a problem. Too little inventory is just as significant, as a stockout means lost revenue, impact to customer satisfaction, and potentially a competitive disadvantage as prospective buyers instead purchase from another source. As we navigate the convergence of supply chain systems, tools like blockchain are going to help optimize efficiency on this front. We will have much more visibility to goods further up and down the chain, and move closer to that Utopian Just-in-Time inventory model to which we aspire. Perfect Order Rate: Metrics such as Perfect Order Rate tell businesses a lot. Accuracy in this capacity not only provides efficiency, cost control, and increases customer satisfaction. Connecting WMS and ERP systems (among others) to mobile workers goes a long way toward addressing accuracy. We all appreciate the data accuracy inherent in barcode scanning over previously paper-based data entry, but there’s more. Today’s mobile deployments enlist multimodal data capture: everything from barcodes and RFID to voice-enabled workflows (shameless plug for Ivanti Speakeasy, powered by Wavelink). 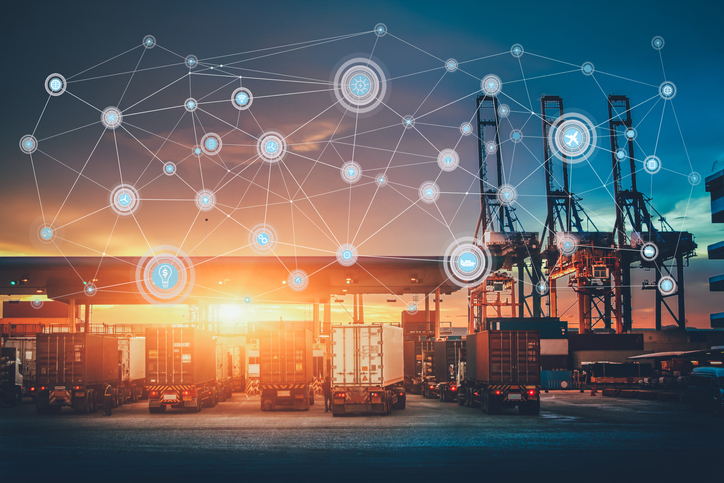 It’s no secret the cost of a mis-ship, and modern supply chain mobile deployments go a long way toward avoiding those errors. Connecting Today and Tomorrow: One of the keys to realizing these benefits fast is recognizing up front how much of a savings you’ll achieve through your investment in supply chain convergence and, more immediately, the mobile solution that can begin reducing costs this year. Start by focusing on the accuracy benefits of refreshing your mobile device fleet, or enhancing it with productivity-packed technology like voice. Much of this has been on display this week here in the US at the ProMat 2019 show. We were excited to participate, and our booth visitors saw our latest accuracy-boosting solutions around Velocity and Speakeasy. The good news for Supply Chain firms: there are powerful tools available today to raise accuracy on the operational side, coupled with the improvements coming soon through supply chain convergence. This is the time to get started with projects that will deliver real savings in 2019, and that savings will fund the longer-term projects delivered through the digital supply chain.